The State Agency for Infrastructure Projects jointly with Infrastructure Ministry has presented a plan on reconstruction of municipal enterprise Vinnytsia International Airport for 2019-2020. Head of the State Agency for Infrastructure Projects Mykola Bozhko said at a press conference in Kyiv on Tuesday that it is planned to spend UAH 2.2 billion on the reconstruction project, including UAH 1.013 billion in 2019 for the first phase of the project. According to him, the airport modernization project was developed as part of the program to modernize regional airports and the public expertise of the project is now being completed, and the reconstruction of the Vinnytsia International Airport will begin soon. "We plan to launch the first flight by the end of this year," he said. The first part of the reconstruction project includes: reconstruction of the runway, partial reconstruction of the apron, lighting, radio and meteorological equipment, cable networks and engineering networks of power supply and communications. "This will allow us to get a modern, highly optimized international complex. The project is divided into two phases, which will allow, after putting into operation the first phase, to receive a fully operational aerodrome complex, which will be able to accept all types of aircraft of class B, C and, in some cases class D (767-200, 767-300)," Bozhko said. According to him, this will increase the number of passengers served. He also noted the great potential of the Vinnytsia airport for freight shipments. 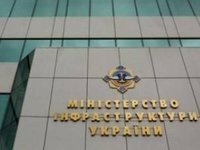 According to Bozhko, radio equipment and means of radio navigation will be supplied at the expense of Ukraine's State Air Traffic Services Enterprise (UkSATSE).